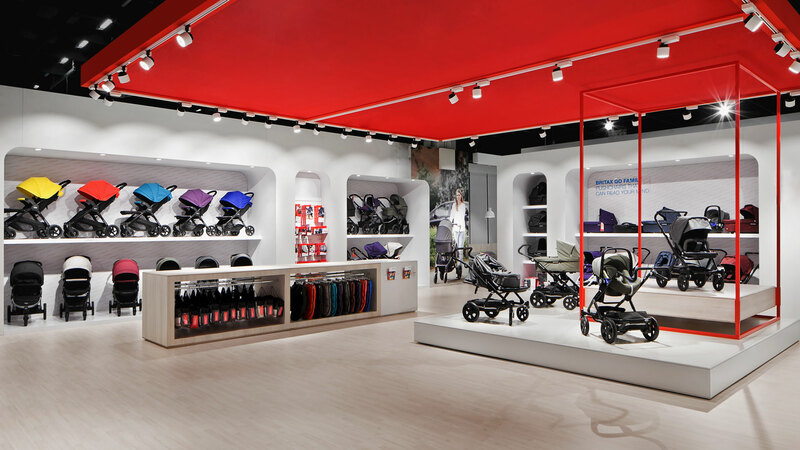 The traditional brand Britax Römer has been writing its success story in child car safety for 50 years now. Again and again, they set standards for the whole market. 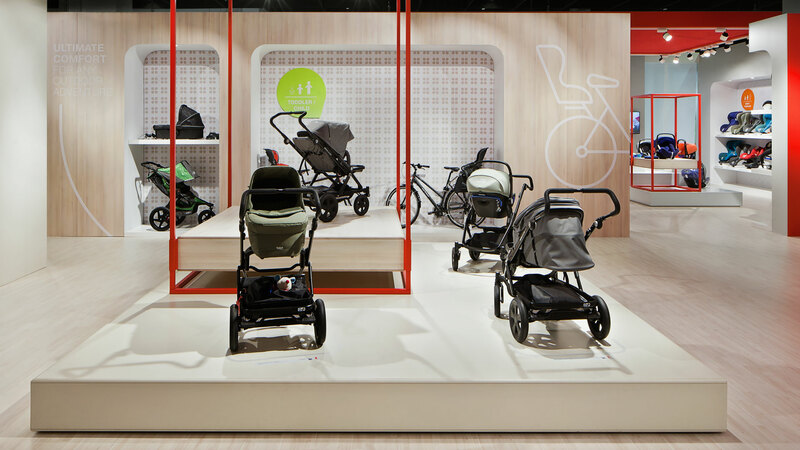 In order to give visible proof of the company’s premium positioning in relation to safety, innovation, technology and design at the trade fair, Dart created a new fair architecture in close cooperation with the quality manufacturer. 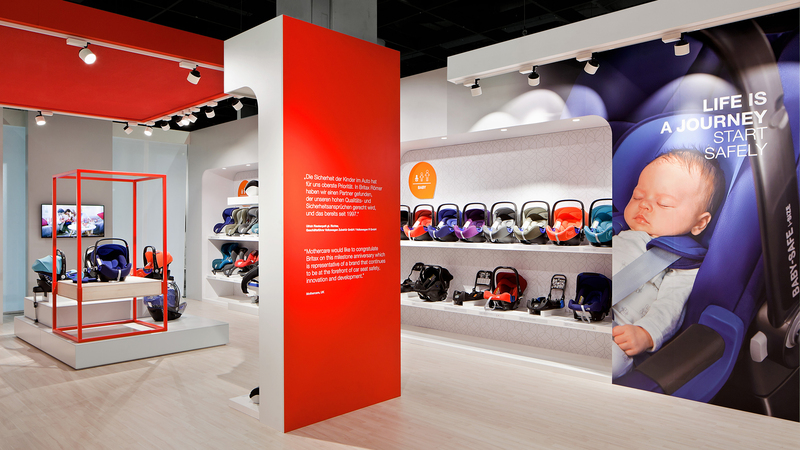 The brand space in its spacious and bright design invites visitors to discover the products and corporate history in an easy and uncomplicated way: Visitors quickly orient themselves in the different topic areas that are arranged in the categories pushchairs, car seats and bike seats with the subcategories infant, toddler and child. Prominently positioned highlights attract additional interest and give proof of the high quality standards. 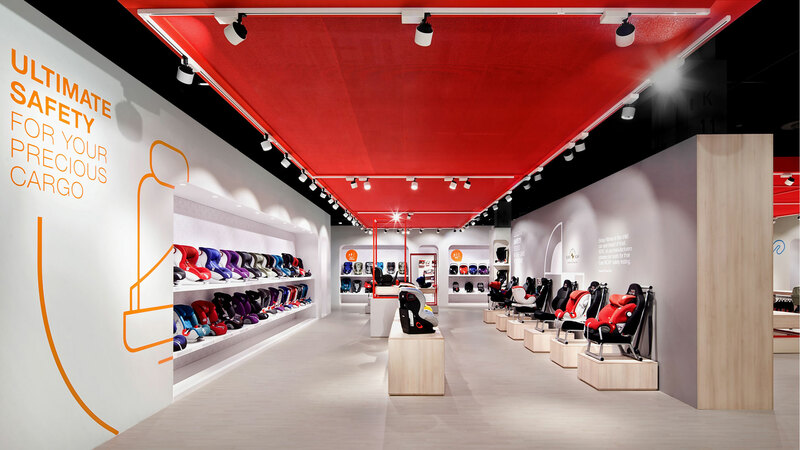 Thus, the fair design consistently connects to Britax’s communication and creates a uniform spatial brand experience across all touch points. 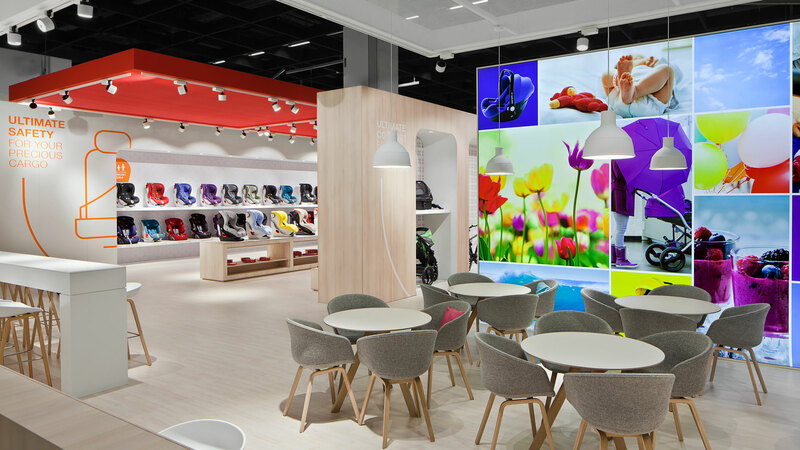 Our expectations and wishes were completely satisfied by the new fair stand concept: making more out of the space given. We are absolutely happy with the support and project management by Dart. Without exception, the modern design was received extremely positively by our clients, partners, as well as all our colleagues.